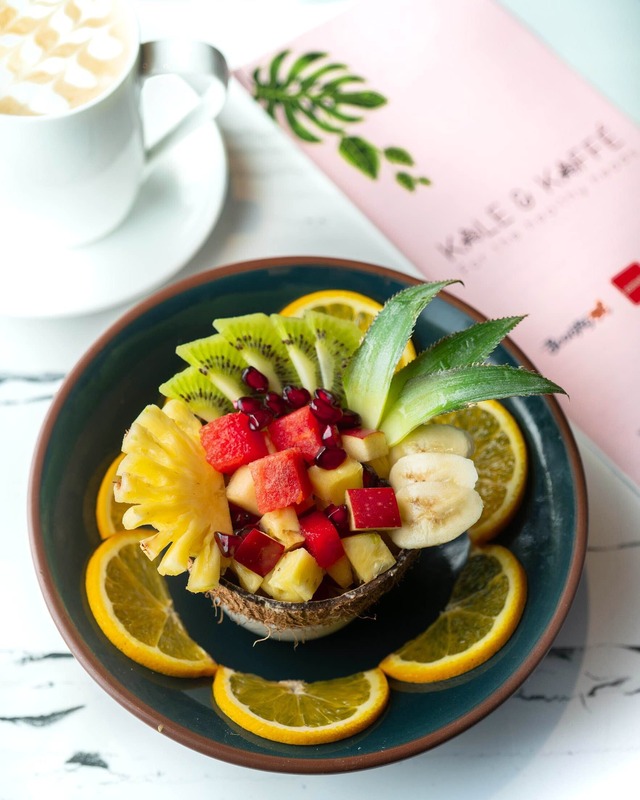 Kale and Kaffe bring to you some very tasty and widespread variety of healthy food choices. They also specialise in Keto diet food options. They’ve recently introduced an all-day breakfast menu. The menu includes classics like Ham and Cheese and a few chef specials. In the frame is the ‘ Seasonal Fresh Fruit Bowl ‘. Kale & Kaffe also serves some amazing coffee and thick shakes.